An authentic Chevrolet shirt featuring a classic Chevy Camaro. An original vintage iron-on heat transfer print on a new and unused shirt. 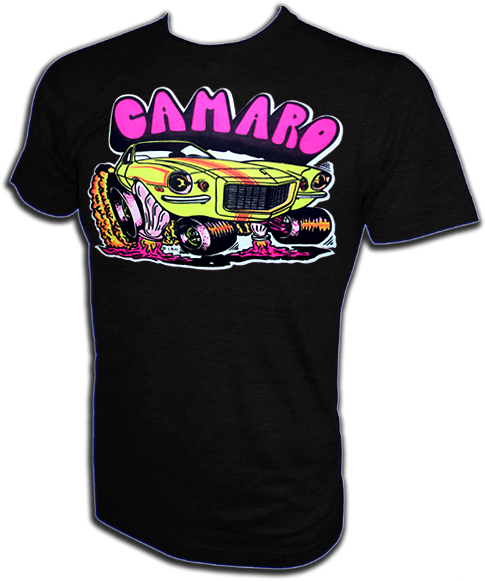 This 35+ year old Camaro print means business and this vintage shirt looks sweet enough to eat! A truly rare find that American Ringer has acquired and NOBODY ELSE has! This is the real deal vintage stuff only available from American Ringer. 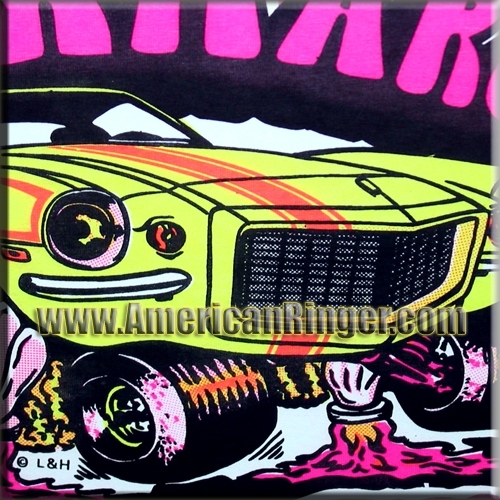 This American muscle car vintage t-shirt is very limited and once they are gone they will be gone forever.